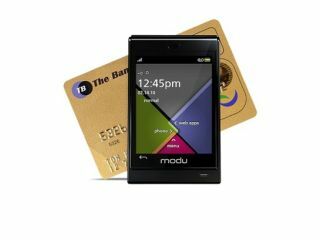 Modu has announced the next generation in its modular mobile phone range, the Modu T – dubbed the world's lightest touchscreen phone. The new device will feature a widget-based touch interface, and multiple 'jackets' which it can slot into to boost functionality. Modu expects a number of high end functions for the phone, including turning it into a full digital camera, photo frame, music player as well as linking it up with a larger PC, simply by slotting it into a new case. It will have a simple user interface, with preloaded content and applications, although there's no price for the Modu T as yet. The new touchscreen device is set for a UK release date of Q4 2010, according to the company. In related news, Modu is releasing the Modu 1, the world's lightest mobile phone, in the UK – after a wait of nearly two years. It will be sold SIM free from purelygadgets.com, and will cost £130, with the jackets costing extra. It packs a 1.3-inch OLED screen and 2GB of memory, with sports, fashion and camera cases to upgrade its function. We first saw the Modu 1 back in 2008, and again in 2009 at Mobile World Congress – and it seems apart from a software overhaul, very little has changed about the device that's already launched in multiple other territories – so it will be interesting to see if the modular concept is enough to help this new sell in high numbers.